All of your cards are beautiful Vicky - I love how you use the white crepe paper, at first glance I thought it was ribbon. I have been following you for a long time and am always so inspired by you. All your cards are fabulous. My first cards were awful!! I still like to look back at them to see how much my style has evolved and I am really surprised to still be here and blogging and cardmaking after all this time! Love the looking back idea! 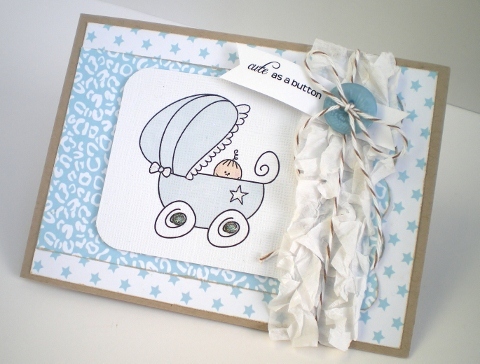 Such a cute card Vicky, really loving how you use the crepe paper! Lol Vicky, my first was awful! When I think back to it, I wonder how I got where I have today! I think this is cute for sure.